Last week I went on a flower shopping spree to pick up blooms for the Day of the Dead flower skull tutorial. 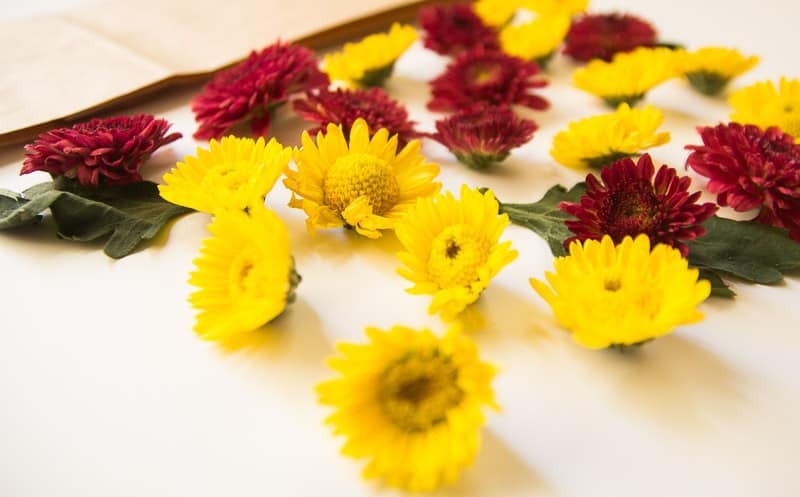 When you buy flowers at the LA Flower Mart you get a ton of them at a fantastic price, so for the past week my house has been covered in fresh flowers (it’s a tough job, but someone’s gotta do it). 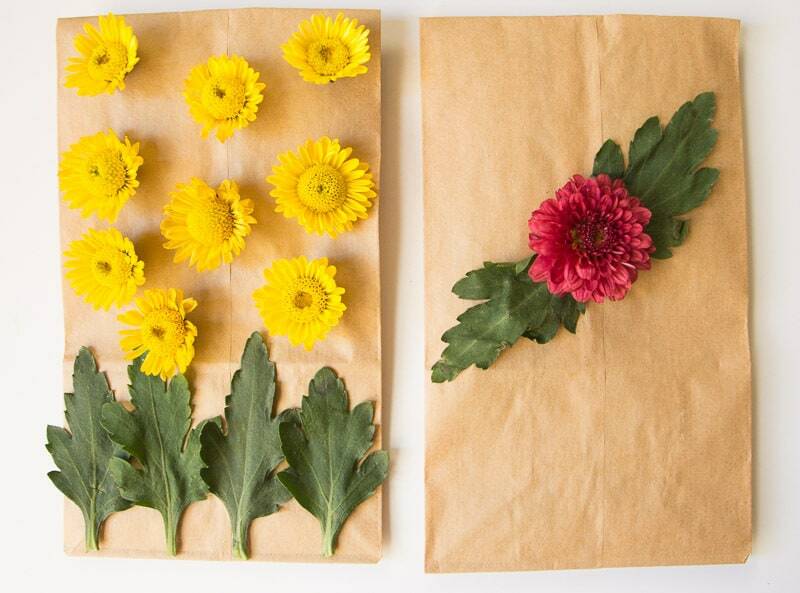 I couldn’t of course let them go to waste, so I used them to decorate lunch bags. 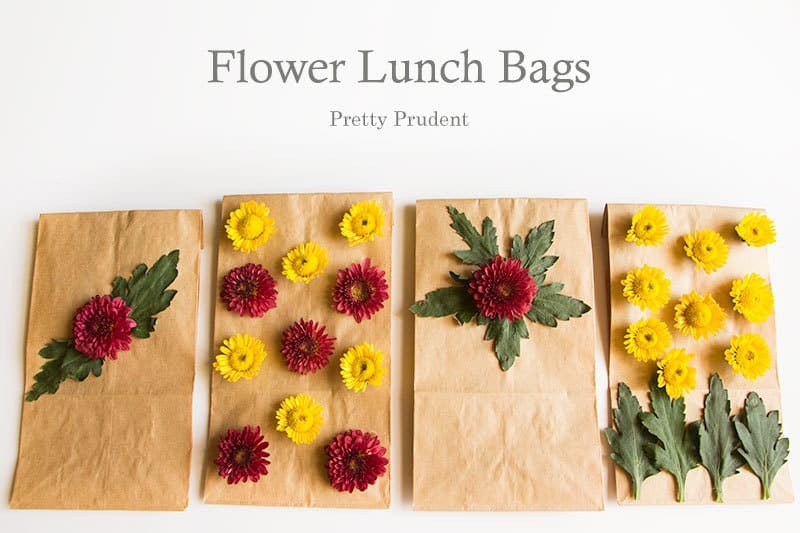 This is a great way to put to use all the flowers you and the kids pick on your walks. I’d love to make a bunch more with fall leaves next time. 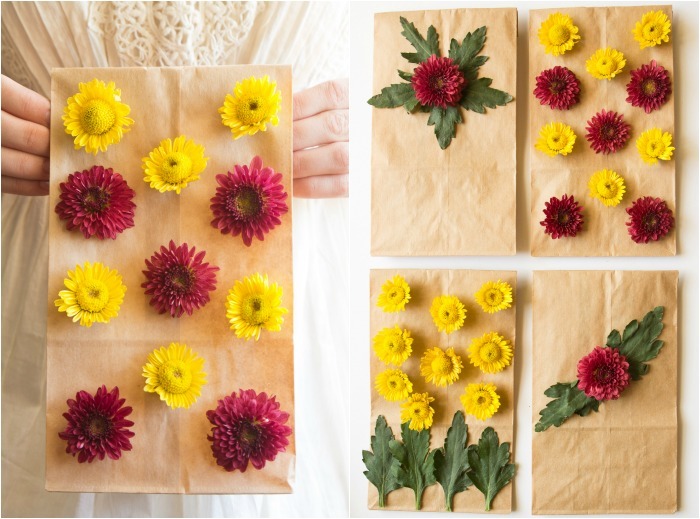 Pick out your flowers and remove the stems. 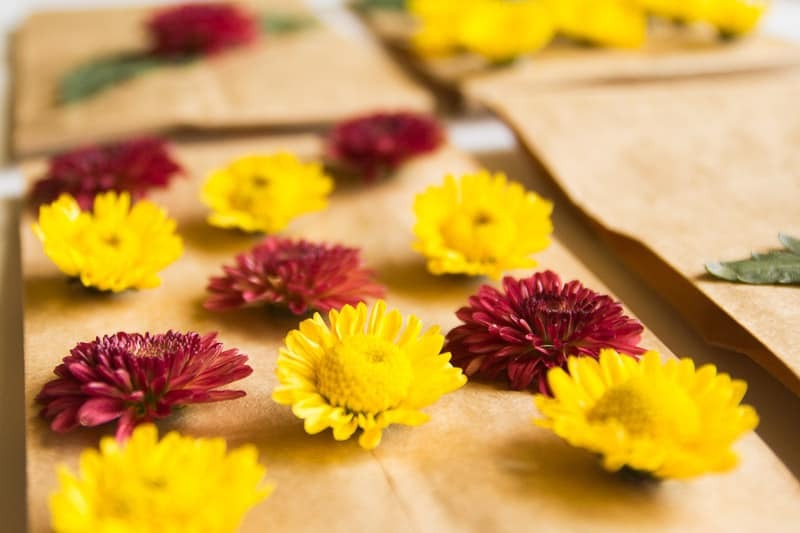 Lay them out to completely dry. Plan how you want to position them on the bag. Pop open the bags so the front and back don’t touch. 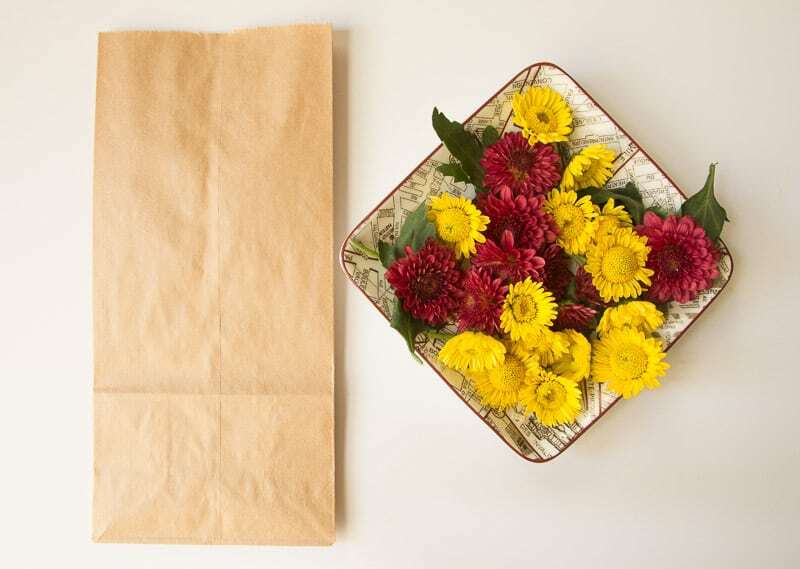 Fold the top of the bag over to make a crease so you can see how high you should place the flowers. 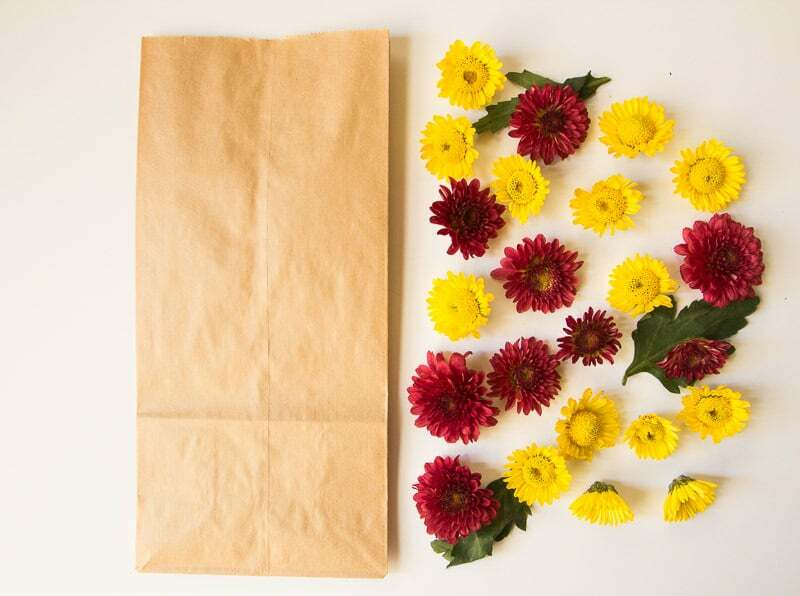 Once the glue is dry you can fold the bags back up or fill them with tasty lunches.